I came across this one and it pretty much sums it up. Picture Credit goes to POSITIVE OUTLOOKS BLOG. 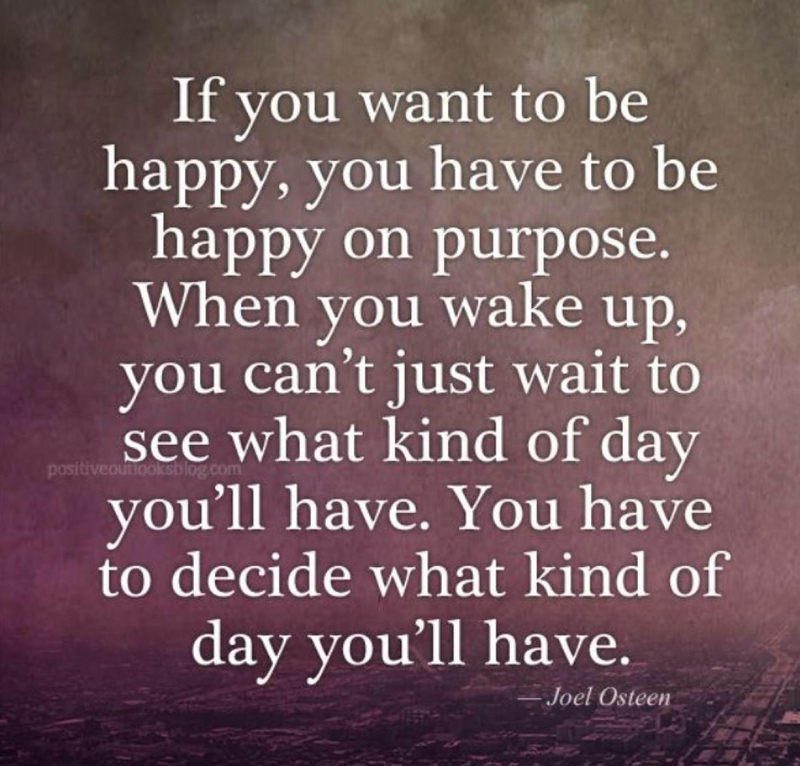 If you want to be happy, you have to be happy on purpose. I keep running into that wall myself, of waiting-and-seeing and hoping and expecting and wishing… and it just doesn’t work. Those are all very passive stances. If you want to be happy, you must TAKE OWNERSHIP! If you want to have a good day, work towards MAKING it a good day! If you want to get a project done, you have got to WORK ON IT. If you want to be happy, you have just got to open your mind, thoughts and actions to being happy – appreciate what is around you, let yourself be delighted, glorify what makes you smile and yes, ‘pay it forward’. And let the rest blur away, consciously choose what you pay attention to. This entry was posted in my thoughts and tagged gratitude, inner peace, ownership, pay it forward, purpose by Laura Schummer. Bookmark the permalink.